Forty-three paid none at all. 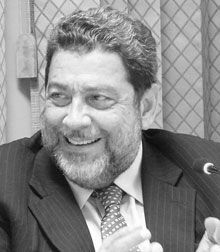 Minister of Finance Dr. Ralph Gonsalves made this disclosure on the evening of Thursday, January 27, as he was contributing to the debate on the Appropriation Bill. Gonsalves said the average monthly tax paid by those 19 lawyers was $346.62, less than his secretary, the Gonsalves said. Lawyer number 19, Gonsalves said, paid $100 for the entire year. Number eighteen, he said, paid $545.88. Gonsalves, himself a lawyer by profession, said he did not have the names of the lawyers, just the numbers.